Sponsorship dollars are much harder to come by in women's golf than in men's, which is one reason we like to highlight significant signings by female professional golfers. And Ladies European Tour member Maria Verchenova recently signed with Italian golf apparel and sportswear company Chervo to represent the Chervo Golf line. Maria is modeling some of the Chervo sportswear above, but we're confident that she won't be wearing those shoes on any fairways or greens. "Maria is a fascinating, brilliant young player; she epitomizes the chic-tech concept of our brand, excelling in both talent and style. We are therefore honoured and proud to have her on board as the brand ambassador for Chervo," said Manfred Erlacher, Chief Executive Officer, Chervo S.p.A. The Chervo motto is "Chervo. Wherever, whenever." But then, the same could apply to Maria. Congratulations to Bubba Watson for his great win at the 2011 Farmers Insurance Open. But, sorry Bubba, this ain't Golf Dudes. It's Golf Babes. So we celebrate by featuring Angie Watson, Bubba's lovely wife. Angie - maiden name Angie Ball - is originally from Canada, and she and Bubba met at the University of Georgia. Angie played for the Lady Bulldogs basketball team - she's 6-foot-4 - as a forward and center. Angie's basketball career was always plagued by injuries, which prevented her from being drafted by the WNBA. But after playing professionally in Europe for a year, she did sign with the WNBA's Charlotte Sting. Alas, injuries again derailed her hoops aspirations, and Angie was finally forced to retire from basketball. She stayed involved by running camps, however. 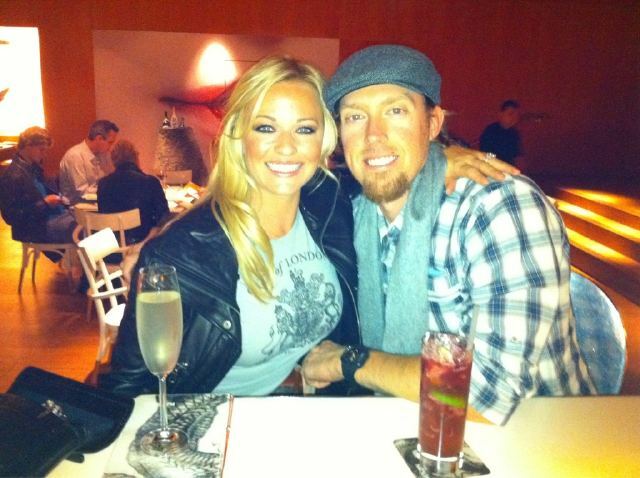 Angie and Bubba were married in 2004, and Angie served as Bubba's manager until a couple years ago. The couple received a major health scare last year when Angie was originally diagnosed with a possible tumor on her pituitary gland. It turned out not to be a tumor, thank goodness, and the moral of that story is to never be afraid to seek out second opinions in matters of health. So congrats again to Angie and Bubba. The top image is of Angie Watson at this year's Bob Hope Classic. She's a very good golfer, too. Congratulations to Hunter Mahan and Kandi Harris, the latest marriage on the golf scene. Hunter and the new Kandi Mahan were married today (Jan. 15). As you tell from the photos, Kandi used to be a Dallas Cowboy Cheerleader. I believe 2009 was her last season on the sideline. It's always nice to read about sponsorship deals for LPGA players, particularly young players, because such deals aren't so easy for women professional golfers to come by. 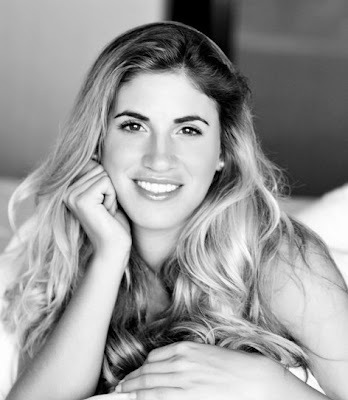 So congrats to Belen Mozo, a Spanish rookie on the LPGA Tour in 2011, for landing a deal with Greg Norman Collection apparel. Belen also has full status on the Ladies European Tour in 2011, advancing through LET Q-School after successfully navigating LPGA Q-School. She's a four-time NCAA All-American at Southern Cal, a former European Amateur champion, and winner of the British Ladies Amateur Championship. Belen will wear the Company's GN Women's Collection during competition and be featured prominently in upcoming advertising and marketing campaigns. "I'm so excited to be a part of the Greg Norman Collection family. I've always admired Greg's style; we are both very competitive and aggressive golfers and work really hard off the course. When I started playing golf at age 8, I decided I wanted to become the #1 golfer in the world, like Greg. Considering all that he has done as a golfer and businessman, it is an honor for me to represent the Shark brand. "The Women's Collection is full of color, style and innovation, and I think it really fits my personality. I like to look good on the golf course, because when I look good I feel good, and when I feel good I'm able to play great. With the GN Women's Collection, I'm comfortable knowing I will look and feel like a winner. Now I'm excited to get to work and have a great LPGA rookie season," said Belen Mozo. Bailey Mosier is joining the Golf Channel team as a writer/contributor to their website. 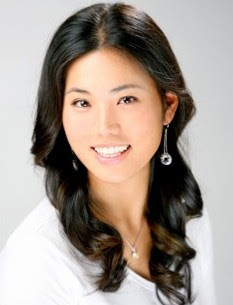 Her initial duties will be to cover the PGA Tour events each week and to write golf news, update headlines, move stories around, edit copy and write features. Bailey played D-I golf at Old Dominion University four years, and was named the Female Scholar Athlete of the Year in 2008 for having the highest GPA of any senior female athlete. Along with her golf background, Bailey brings journalism and new media skills to the Golf Channel, having received a Masters degree from ASU's Walter Cronkite School. She says she can't imagine a better way to combine all the things she loves and is passionate about: golf, storytelling, written word, new media and the quest for and development of knowledge and skills. Meet the newest member of the Golf Channel team, Holly Sonders. Sonders is joining the Golf Channel's new morning show, Morning Drive, which begins airing weekday mornings, 7-9 a.m. ET, on Jan. 3. Holly will "provide tournament and news updates as well as the top headlines of the day at the bottom of the hour," the network said in its announcement. 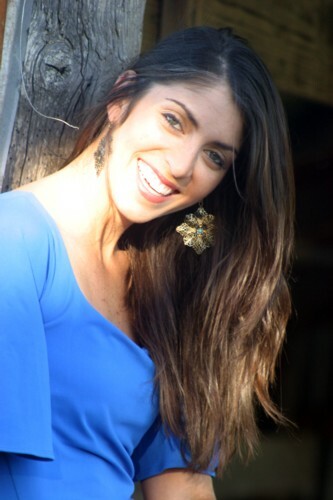 Sonders joins the Golf Channel from KATV in Little Rock, Ark., where she was a news and sports reporter, and she also was a sideline reporter on the Big Ten Network in 2009. She previously worked at WBNS in Columbus, Ohio, and prior to that was a four-year member of the Michigan State women's golf team. The fact that the Arkansas State Golf Association posted a farewell to Sonders on its blog, and thanked her for her dedication to golf, certainly bodes well for golf fans.